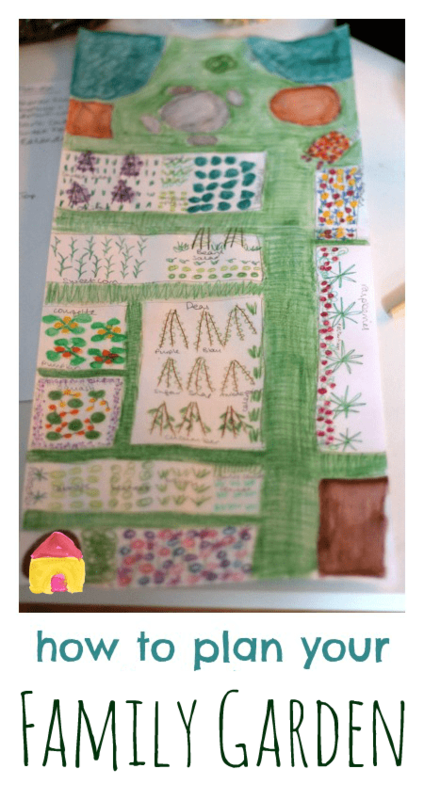 Here are my tips on how to plan your garden classroom to make an easy family garden, outdoor classroom, and mini veggie garden all in one. I’m a planner by nature, and I find that taking time at the beginning of the gardening year to think about how we want to use our garden space pays dividends right throughout the seasons. A little thought now saves time, money and energy later in the year – plus it gets us all excited about the wonderful things to come! Think about the space you already have and how you use it now. Use these questions to audit your outdoor space to see what you want to keep and what you want to change. Follow these tips for small family gardens to maximise the space you have available, especially thinking about how to combine space for growing, playing, relaxing and learning. And always include a wild card in your plans! Then make a plan. We like to draw out a map of our garden. We have a tiny city garden but are also lucky to have a plot in a local allotment, which we use for growing fruit, vegetables and flowers. We also use this allotment as our garden classroom, and spend time each week growing, playing and learning. It’s important for us to plan how to use the space we so can combine all the activities in one plot, make the right choices about what we want to grow this year – to be bountiful, and ecconomical, and to always give us a new growing experience to learn from. – transfer these measurements roughly, or precisely, to scale on to a large piece of paper. 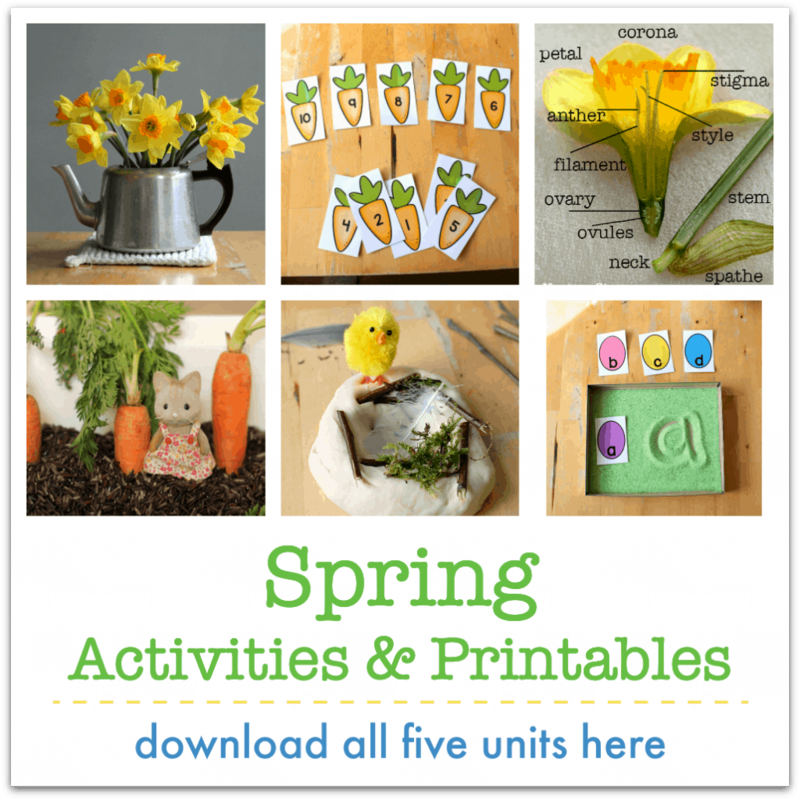 Mark out permanent features like a compost bin, table and chairs, and sandpit or water table. And work out where your plant-growing beds will be. :: What needs sunshine, and what needs shade? :: What will need a wigwam for support or be very tall, shading out other plants? :: Talk about plants grow well together – like marigolds and tomatoes, chives and carrots – so you can use companion planting deter pests, meaning you won’t need to rely on additional chemicals. :: And talk about what you grew in a particualr spot last year, and how rotating plants around your garden can reduce problems from pests and diseases. 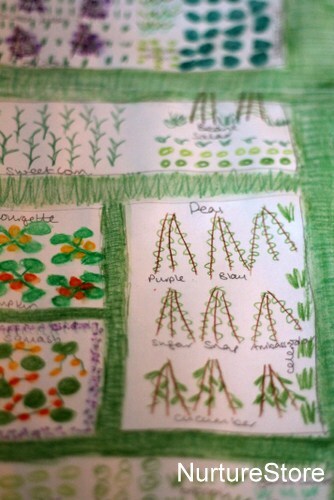 – write the name of each plant you’d like to grow on a sticky note or small piece of paper, and place them on your plan. Move them around until you’ve found a home for everything. – once you’ve decided what’s going where, you can draw them onto your garden plan. You can use pens, pencils or paints to create your unique garden art. 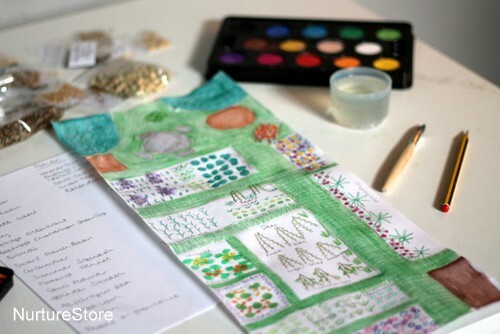 We used watercolour pencils, and added in plant names with a pencil. – the garden plan makes a beautiful piece of art to add to a nature table, and also acts as a blueprint for all your growing this year, so you can remember what to plant where! Don’t stress too much about what to plant – just plant something! Plant what you like to eat, what you want to see in your garden. Let each child pick a packet of seeds that catches their eye. Don’t worry if your garden is very small – you can grow wonderful things in pots or in one raised bed. And don’t feel overwhelmed if your garden is huge – just make a start. A garden is a natural thing and develops through the seasons and over the years. In my book, The Garden Classroom, I talk about my five favourite plants to grow with children, They are: potatoes, tomatoes, sunflowers, nasturtiums, and lettuce. So perhaps pick from these five, or pick favourites of your own. Whatever you choose, let’s plant some seeds and follow through our Seeds and Shoots week, investigating, drawing and writing about our planting. Gather pots, compost, and seeds, and start your garden today. Save a few seeds for our seed growing experiment.